Number of Shares: 60 M.
Edaran Berhad, an investment holding company based in Malaysia, is engaged in computer systems integration, the provision of smart technology solutions and maintenance and consultancy services. In addition, it is involved in the property investment operations. 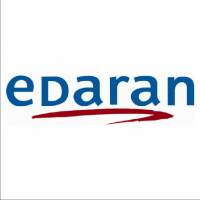 The company was formerly known as Edaran Digital Systems Berhad and changed its name to Edaran Berhad in December 2007. Edaran Berhad is based in Kuala Lumpur, Malaysia.